Students take the Thrively Strength Assessment to learn about their top strengths, and share their interests & aspirations. 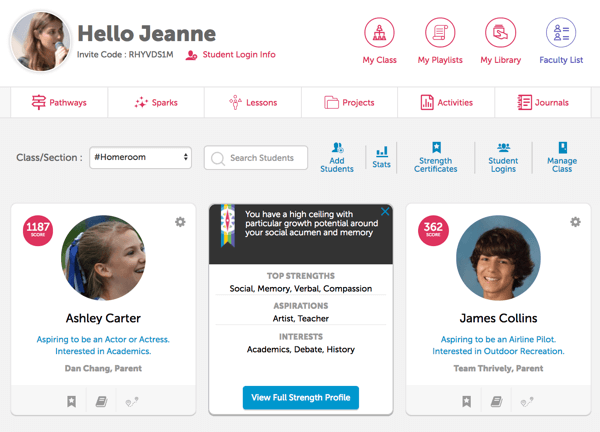 Teachers use the results to engage their students and connect with parents. 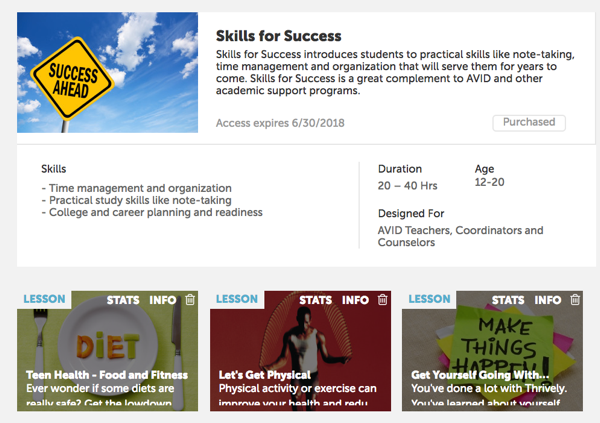 Administrators use strength and interest data at a class, grade, or school-wide level to make informed decisions on elective offerings, growth areas, etc. Administrators draw from 250+ lessons that develop skills like empathy, collaboration, resilience, leadership, and creativity. Thrively helped each student understand his or her strengths and connect the dots to one another. Students also used some of the lessons with journaling in order to build a growth mindset. After a few cycles, we were ready to take the next step and used the creation of strength-based collages to move students, parents, and teachers to true student-led conferences.